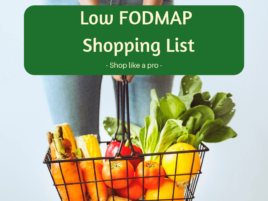 Yes, you can have Hummus on a low FODMAP diet! But you do need to make it yourself, so it’s a good thing it’s so easy to do. 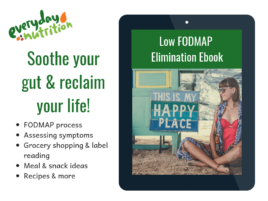 The FODMAPs in chickpeas are water soluble. This means when chickpeas are canned the FODMAPs will leach into the water over time. Therefore, if you drain and rinse them well, you wash a large amount of the FODMAPs away. Monash University Gastroenterology department has tested canned chickpeas and deemed them low FODMAP in up to ¼ cup serve, and moderate FODMAP at ½ cup serve. Serves: 8 (for a low FODMAP serving size). Place drained chick peas, garlic infused olive oil, maple syrup, citric acid and salt in a blender or food processor, and whizz until you form a smooth paste. Enjoy with low FODMAP veggies, crackers or sourdough bread. Note: The recipe can also be made suitable for the RPAH or Failsafe Elimination diet. Replace the extra virgin olive oil with 3 tablespoons of Canola oil and ½-1 clove of minced garlic depending on preference.